Brabus. 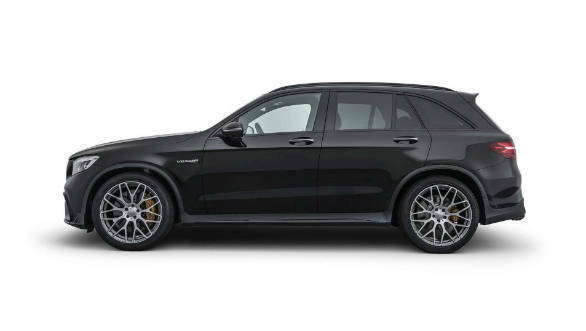 tuners specializing in Mercedes-Benz cars which make even the company's own AMG cars seem meek, has got its hands on the Mercedes-AMG GLC 63 S SUV. Brabus has worked on the SUV's 4.0-litre twin-turbo V8 so that it now produces 600PS and 800 Nm. These are increases of 90PS and 97 Nm over the standard AMG car. Brabus has made these improvements by adding a new 'plug and play' module to the SUV's ECU. This changes the mapping for the injection and ignition and also ups boost pressure. Add to this a new stainless steel exhaust with electronically controlled valves and the GLC 63 S now get from 0 to 100 kmph in 3.6s, a 0.2s drop from the standard car's 3.8s. Brabus has also done away with the speed limiter, so the GLC 63 S can now top out at 300 kmph. 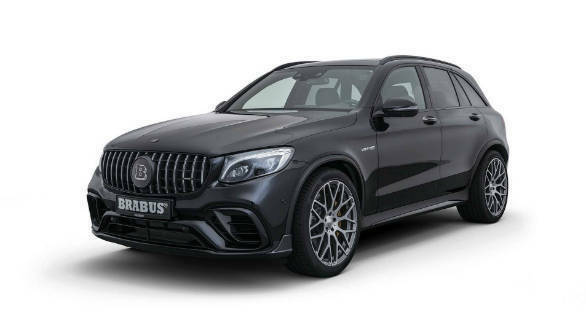 Other options for the discerning Brabus customer are carbon-fibre componentry, lightweight alloy wheels ranging from 19 to 22 inches and a new air suspension that drops the ride height by 30mm. The company offers many interior customisation options which let buyers trim their cabin in leather and Alcantara. 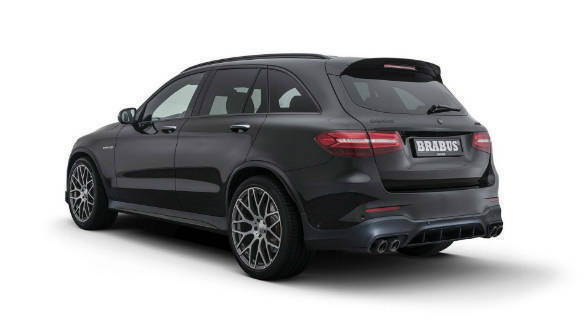 This SUV is just the latest addition to a long list of outrageous Brabus cars. The company has become the go-to place for Mercedes customers who find the German carmakers standard cars a bit too plain-Jane and are looking for something that gives them some serious bragging rights.